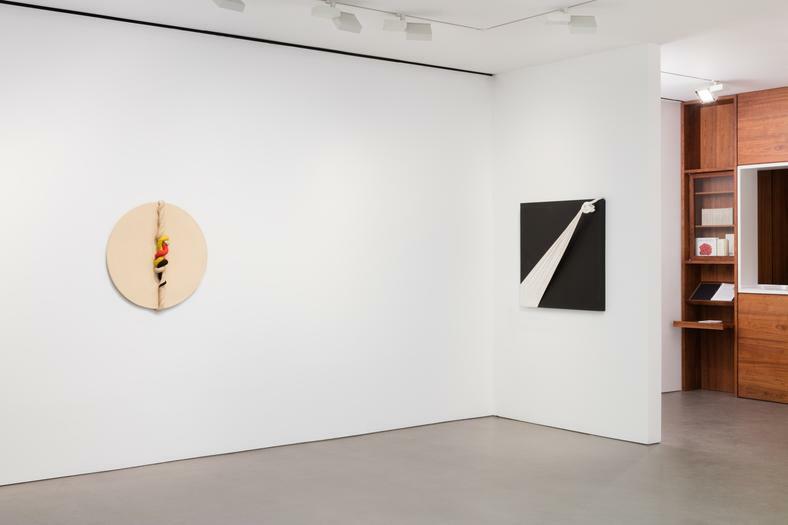 Andrea Rosen Gallery 2 is pleased to announce an exhibition of Jorge Eielson’s Quipus series. 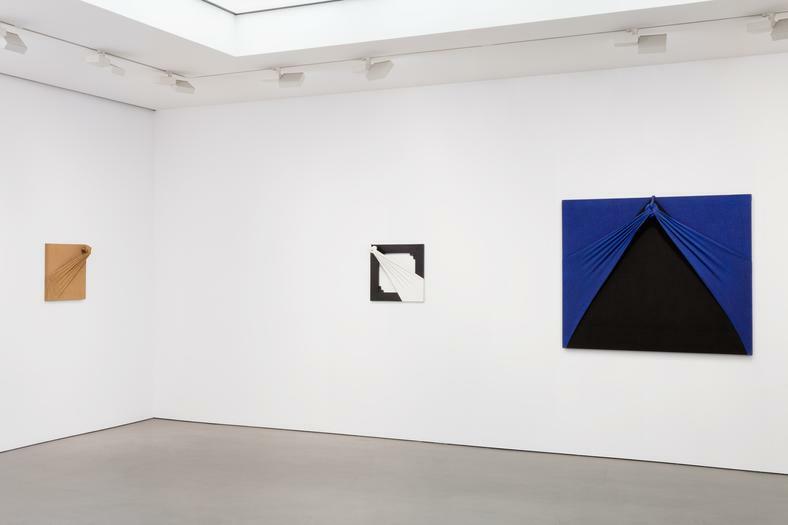 Over the course of 60 years, Jorge Eielson (1924-2006), a self-described ‘worker of word… of image… of colour… of space,’ developed a practice that eschewed strict categorization, encompassing poetry, sculpture, painting, performance, and theatre. Breaking out of the restrictive two dimensional boundaries of the flat surface was one of Eielson’s chief preoccupations, as was idiom, in its visual and written form. As a poet and painter, the artist emphasized the importance of language, and explored it from a narrative and symbolical perspective. Eielson’s paintings––most notably the Quipus series dating back to 1963––are saturated with Peruvian heritage, while simultaneously revealing a framework within which metaphor, language, color, and an almost scientific study of form are exercised. Rising to prominence as part of the Peruvian movement known as ‘Generation 1950,’ Eielson boldly left his native Peru to relocate to Europe in 1948––first visiting Paris, then settling in Italy. 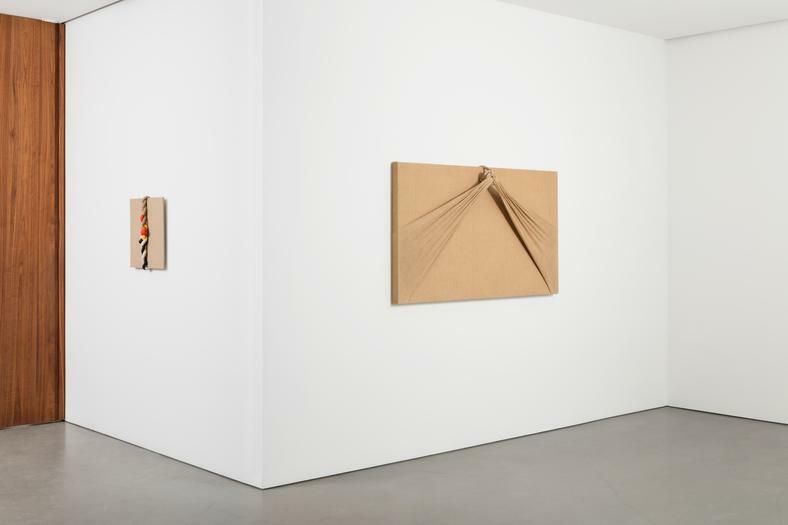 Actively engaging with the cultural milieu of his adoptive countries, Eielson befriended the likes of Raymond Hains and the members of the MADI group in Paris, and became acquainted with Alberto Burri, Mimmo Rotella and Cy Twombly, among others, in Rome. While he maintained strong social rapports with his peers, Eielson’s art developed independently of them and their affiliate movements. 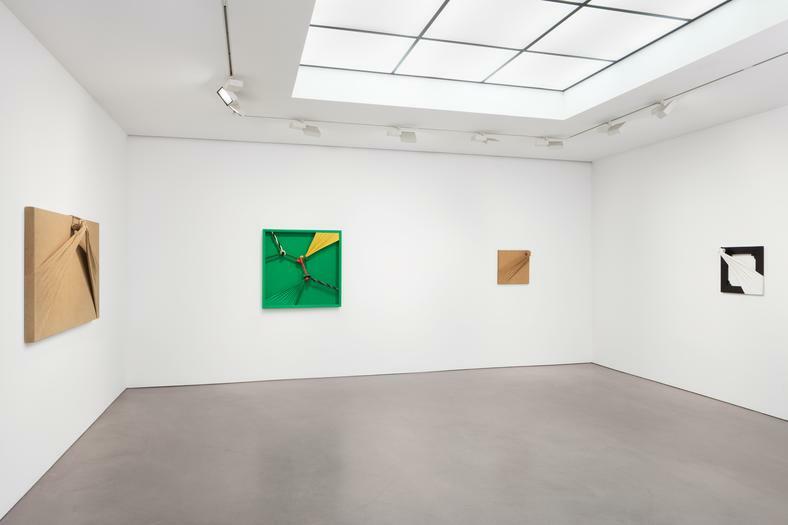 Neither espousing the consumerist rhetoric challenged by pop art, nor abiding to the formal diktats of minimalism or the rigorous critical inquiry of conceptualism, Eielson’s visual output rested on a set of distinct conceptual and formal precepts. Eielson’s series Quipus––literally “knot”––displays a language built from a shifting range of themes and variations of a single motif. From the deep blue fabric fanning over the pitch-black background of Quipus 30B (1991), to the tense intersection of Quipus Vert no. 3 (1971), the knot exercises control over Eielson’s chromatic surfaces, with each color, twist and intersection concretizing a symbol or word. Taking its name from a traditional Incan encoding device designed to collect data and keep track of values within compositions of knotted string, the quipus faded from use with the Spanish conquest, but maintained a powerful hold as a historical symbol. Its role as an iconic stand-in for an ancestral heritage, combined with varying material properties, first drew Eielson to the quipus, leading him to evolve and establish a body of work recognized as one of his own visual linguistic systems. 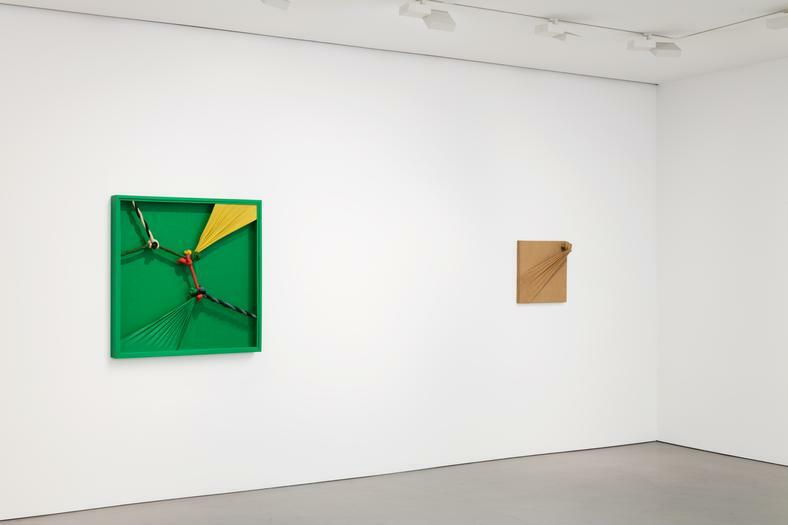 Like his contemporary Lucio Fontana, whose Spatial Concepts were conceived as relentless variations on a motif, so, too, were Eielson’s Quipus. The knot was to Eielson what the slash and hole were to Fontana. Museo de Arte de Lima in Peru. With thanks to Archivio Eielson, Saronno and Centro Studi Jorge Eielson, Florence for their support of this exhibition.